Add lavish detail above cabinetry, hoods, either on it's own or with stacked moulding. With clean, solid lines, the Simplicity Crown & Rangehood Moulding adds finishing detail in several ways — frame wall panels or add accent to walls, use with stacked crown moulding or above cabinetry. 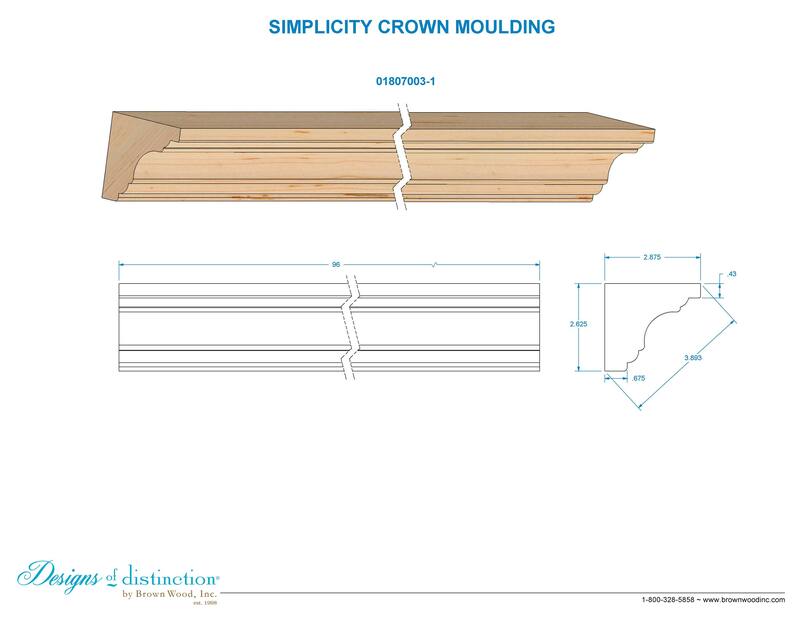 The Simplicity Crown Moulding complements many styles of decor, but we have it as part of our Urban Collection. Call or submit a quote for a custom species.